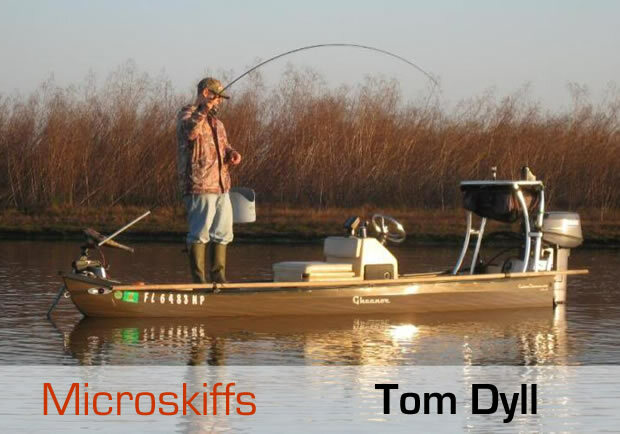 There is a really great podcast up over on Zach Matthew's site, The Itinerant Angler, where Zach interviews Tom Dyll who runs the Web site Microskiff.com. It's a great site that has everything you'd ever want to know about small skiffs and then some. Hopefully at some point there will be a small skiff in my future and this site gives you a lot of insight into the skiff buying, maintenance, possibilities process. The podcast is a fantastic interview and really gets into the nitty gritty of these boats. Check it out!